I think the story lacked any type of depth or character development. Did Lara Jean really grow? How many times did she come to some revelation just to backtrack again? And I can’t say that I liked any of the characters. They were all just a little too immature, even for 15-16 year olds, if they have any personality at all. Almost everyone except the main 3 characters, the ever present love triangle which includes Peter and Josh, are literally plot devices. Especially Margot and Genevieve. Infuriating. 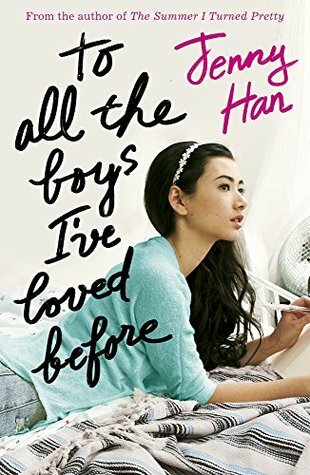 The story is super predictable; you know exactly which boy she’s going to end up with and who sent the letters and why, which would be okay if it were an emotional rollercoaster or anything to get there. Nothing ever happens that makes me shocked or sad or angry or happy. It just exists. Still, I will read the next book. Mainly because I already bought it, but also now that I know what to expect I might even enjoy it more because I know this is a book I should read when I just want something that is super fluffy and mind-numbing, like watching a Disney Channel sitcom.